The Optima is one of the most well-know Kia models. 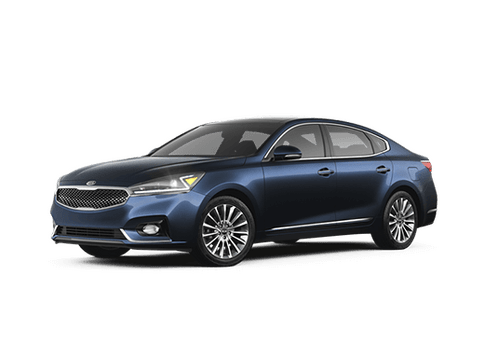 Affordable and stylish with impressive performance the Kia Optima shows off its superior qualities in the midsize sedan segment. Many sedans choose to focus on sporty performance but the Optima features a more luxury, high-end quality appeal. Customers will find that the 2017 Kia Optima is supportive, comfortable and includes all of the best technology and safety features that most drivers want in this day and age. Though the Kia Optima appears to be seen as more of a luxurious styled sedan, the Optima does offer sporty performance to give Optima drivers quick and precision handling backed by a powerful engine. The 2017 Optima offers two turbocharged engines. The 1.6-liter turbocharged engine and a 2.0-liter turbocharged engine that produces the maximum of 245 horsepower for the Optima. While taking to the winding roads, drivers will notice the incredibly quiet cabin due to the noise reduction which reinforces maximum comfort and relaxation inside the 2017 Optima. One of the key aspects that Kia focuses on is a driver-centric design. Having the dashboard designed to be of easier access to the driver allows for the driver to not only easily manage controls but remain focused on the road to promote safe driving. The 2017 Kia Optima will also feature smart phone connectivity such as Apple CarPlay and Android Auto which project your phone's screen onto the Optima's 8-inch touchscreen to allow simple integration into your vehicle. Access messages, music, maps and more. Autonomous emergency braking, bird's eye view camera, advanced smart cruise control, and forward collision warning system are all available on the 2017 Kia Optima. If you are interested in the new 2017 Optima please contact any one of our three Moritz Kia locations in the Fort Worth area for more information on how to get ahold of the new Optima.